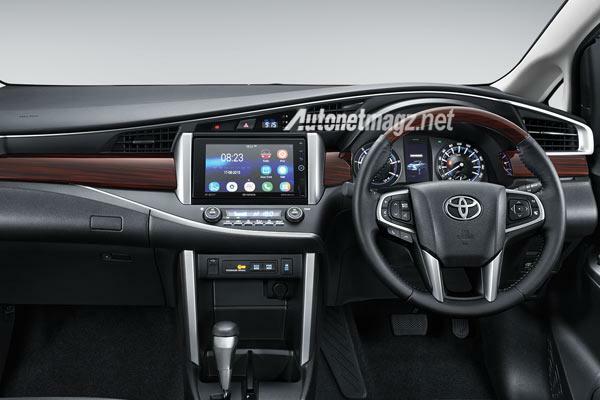 The next generation Toyota Innova pictures surfaced on the internet sometime back, which was followed by the company officially teasing the next generation MPV ahead of its November 23rd, 2015 global unveil. The leaked brochure of next generation Innova reveals complete details of the car’s styling, which is a vast difference from the current model’s, both on the interior as well as exteriors. The next generation Toyota Innova brochure which got leaked also revealed details on the car’s dimensions and engine details. The 2016 Toyota Innova measures 4,735mm in length, 1,830mm in width and 1,795mm in height, this means the new Innova car is 180mm longer, 60mm wider and 45mm taller than the existing Toyota Innova. The wheelbase of next generation Innova is same as 2750mm. When it comes to engine and other specifics, the all new Toyota Innova gets rid of the existing 102bhp 2.5-litre diesel KD series engine in favour of the all-new 2.4­-litre GD series diesel engine. The all new engine churns out 147bhp – which is more powerful i.e. 45bhp increase from its predecessor. There will be two gearboxes which is going to be offered for the new Innova – a five-speed manual and a six-speed automatic. The 2.4-litre diesel’s torque figure for the six-speed automatic Innova is 36.7kgm, while the manual gearbox-equipped variant delivers 34.9kgm. Dual-tone interior with faux brush aluminium trim (faux woodgrain on the higher variants). Leather upholstery. A 7.0-inch touchscreen infotainment system across all variants with navigation, voice command and Bluetooth telephony system. SD card support is offered on higher trims. Separate multi-info display for the driver. Unique entertainment system with an 8.0-inch screen, HDMI input and in-car Wi-Fi support. Auto up-down windows along with push-button start on higher trims. LED daytime running lamps and LED head and tail-lamps with emergency braking markers. 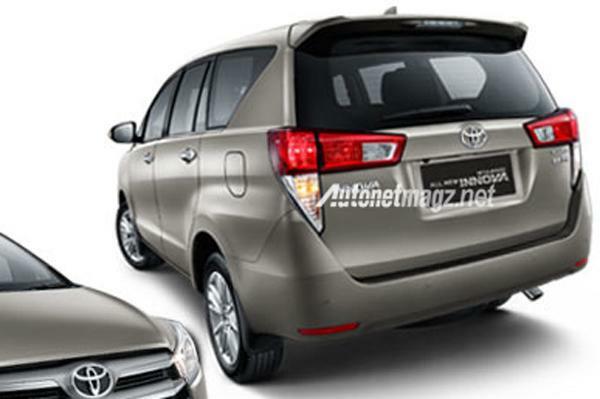 The all-new Toyota Innova is definitely going to get benefited from its predecessor’s reliability and popularity. The presence of all-new diesel engine as well as the diesel-automatic combo, and with its long feature list, it has all characteristics of making an another segment leader. At the end of the day, it all boils down to how Toyota would be pricing the car. 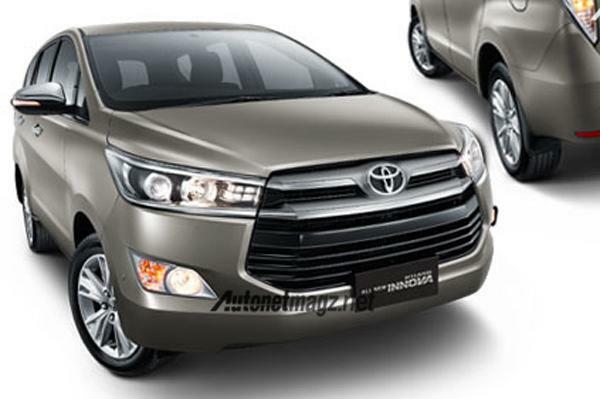 The next generation Innova will be reaching Indian showrooms next year.